When the days are long and cold, the nights draw in and it’s hard to get things done we could all do with some motivational words to give us a boost and push us on to bigger and better things. What better way to do this than with a bright, cheery and perfectly formed piece of typeography! 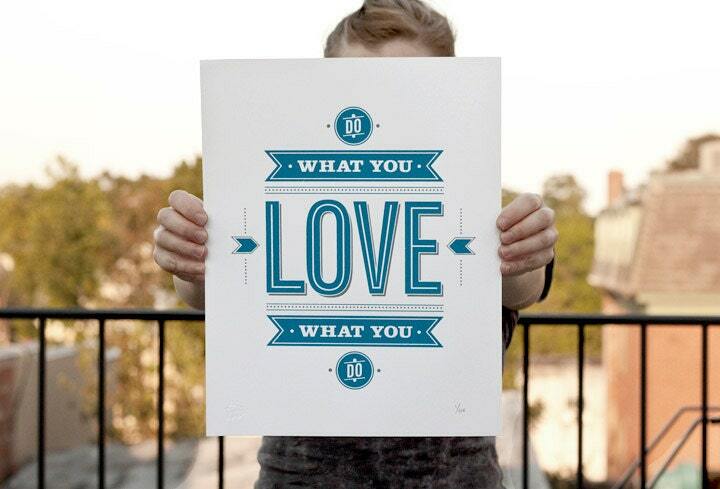 “Do what you love, love what you do” two coloured screen print by 55 Hi’s. So true. 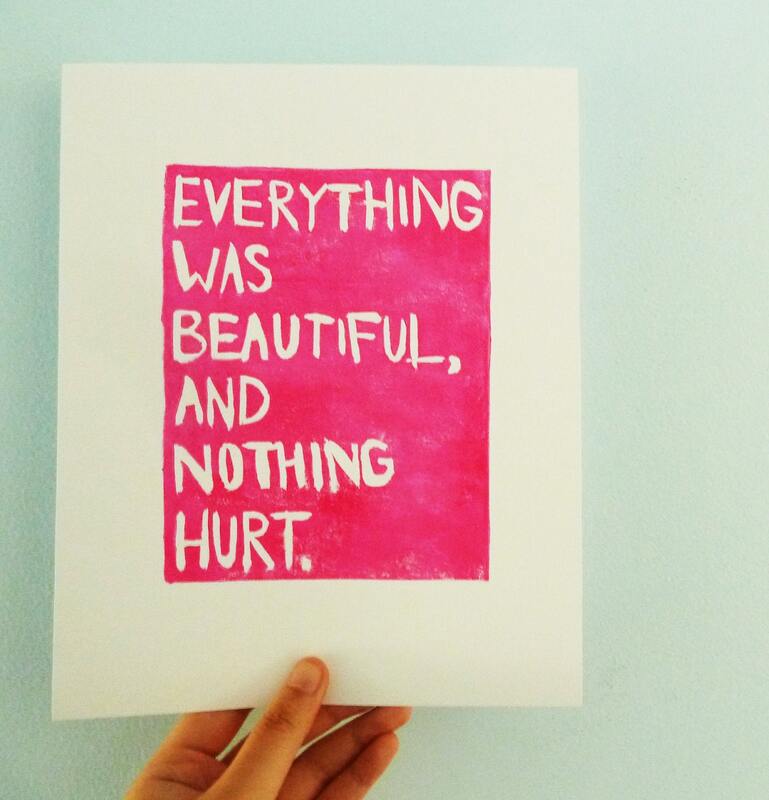 A quote from Kurt Vonnegut Jr.’s book Slaughterhouse 5 made into a rather lovely linocut print in magenta ink by inkstomp. 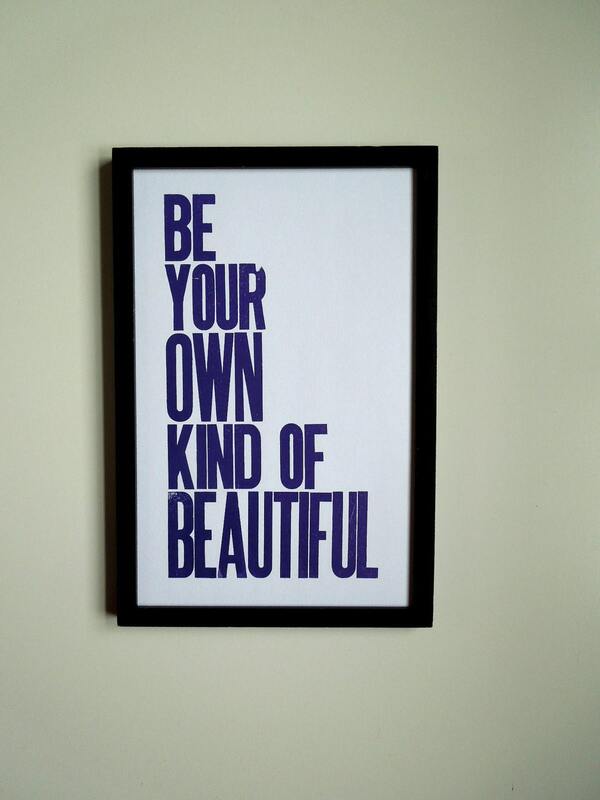 “Be your own kind of beautiful”. This print is made using antique mixed wood type from the early 1900’s.....very cool....and the sentiment behind it is wonderful too! Aw I love all of these. 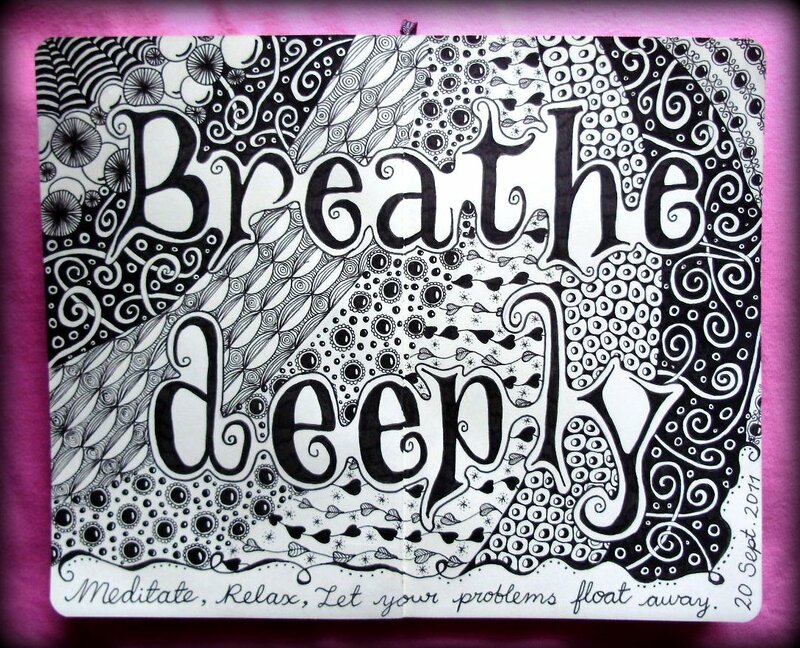 I love big, graphic art playing with fonts!! I love these! 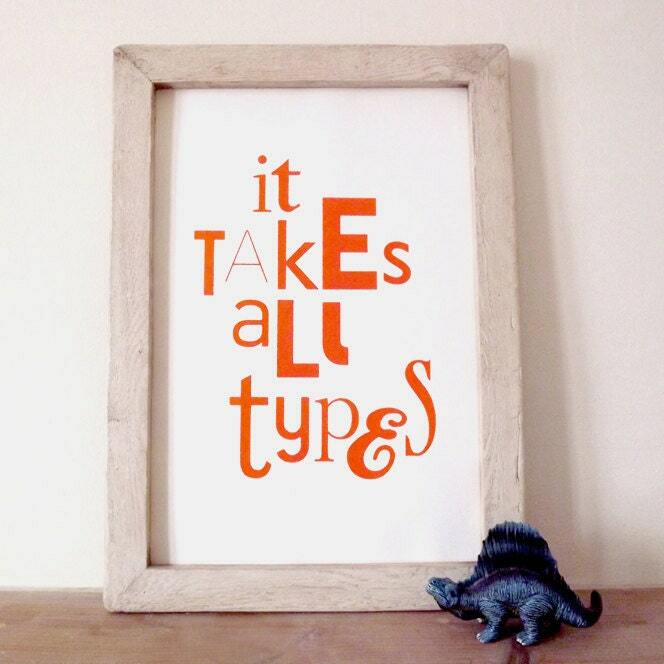 Just saw a link here from @Folksy on Twitter and had to come and have a gander. I wonder what you think to this on my Fordie Fresh blog? This is our first feature..eerr..pretty much anywhere! Thank you very much it's made our day!